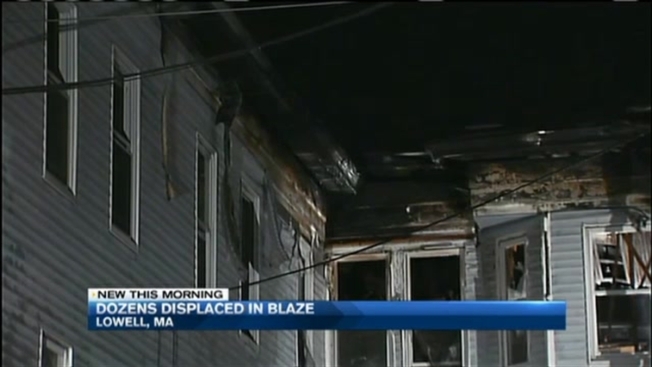 One resident has been hospitalized and 30 have been displaced after a 4-alarm fire which impacted two buildings in Lowell, Massachusetts. The fire at 70 Varney St. has since been put out. Two buildings caught fire and about 10 units were destroyed. The injured resident was sent to a hospital for smoke inhalation. One firefighter was sent to a hospital after slipping on ice. The Red Cross is on the scene assisting the displaced residents. The fire chief said wind and a broken fire hydrant were big problems when battling the fire.